Building a deck or dock costs thousands of dollars, why not build it to last? Though the process of weatherproofing can be costly and time consuming, it can save you in semi-frequent repairs and even reconstruction in the future. Aside from perhaps an open flame, water is the most dangerous element your wooden structures can be exposed to. By weatherproofing your deck or boat dock, you can ensure that building materials are protected from the elements as well as organic matter that can weaken the stability of your structure. Rain water and other moisture can sink into the wood if not sealed properly, causing the material to rot away over time. Additionally, moisture rich wood tends to mold, which is dangerous to both the integrity of the material and yours and your guests’ health. Unsealed or non-weatherproof structures are also vulnerable to dry rot caused by certain fungi. These organisms cause wood to become spongey in composition and therefore, unstable. Weatherproofing also helps to maintained the aesthetic of your dock or backyard deck by preserving its color and polish. The biggest drawback to weatherproofing your wooden structures is that the process is not a one-time investment. Most experts recommend resealing decks and docks annually, which means homeowners are looking at a reoccurring maintenance cost. 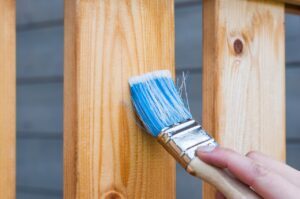 According to Home Advisor, higher-end structures can cost upwards of $1800 a year to maintain; however, the article also sites the average person spends around $831 sealing or weatherproofing a deck. In areas where there is frequent rain or high humidity, homeowners may be looking at repeating this process multiple times a year. 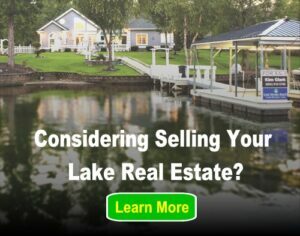 This is especially true in areas such at the lake where structures are regularly subjected to large amounts of water. Additionally, homeowners should note that clear sealants may need to be reapplied more often than colored ones. When it comes to the materials recommended for weatherproofing your boat dock or deck, determine whether you want to use a waterproof stain or sealant, or if you want to bypass normal wood for a synthetic building material. As previously stated, if buyers chose the first option, a sealant or stain of some kind, they run the risk of costly, annual reapplication. However, this is the more affordable option, especially for smaller or preexisting structures. A single quart of sealant can cost anywhere from about $8 to more than $50, depending on the brand. For the higher-end material, an amount this size can cover about 240 square feet. The average deck is approximately 300 to 400 square feet. The second option would be to build your structure with a non-wood material, such as composite decking. These boards are made of both plastic and wood fibers, mixed with a number of other additives such as pigments and UV inhibitors. This mixture is then heated to form a sturdy building material that is flame resistance, easier to maintain and fades less easily. Low-end composite board costs about $4 per square foot, but can exceed $7 per square foot for higher end, more aesthetically pleasing material. Though the start up cost can be expensive, this product’s longevity paired with reduced maintenance obligations make it an increasingly appealing alternative.